Grab some hot cocoa and snuggle up by the fire with a copy of this Snowlander. Alissia Blackwood Mead designed this week's cover and we wanted to know how the idea came about. The Inlander: What inspired this cover? Bad Christmas sweaters? Alissia Blackwood Mead: YES! Sort of. 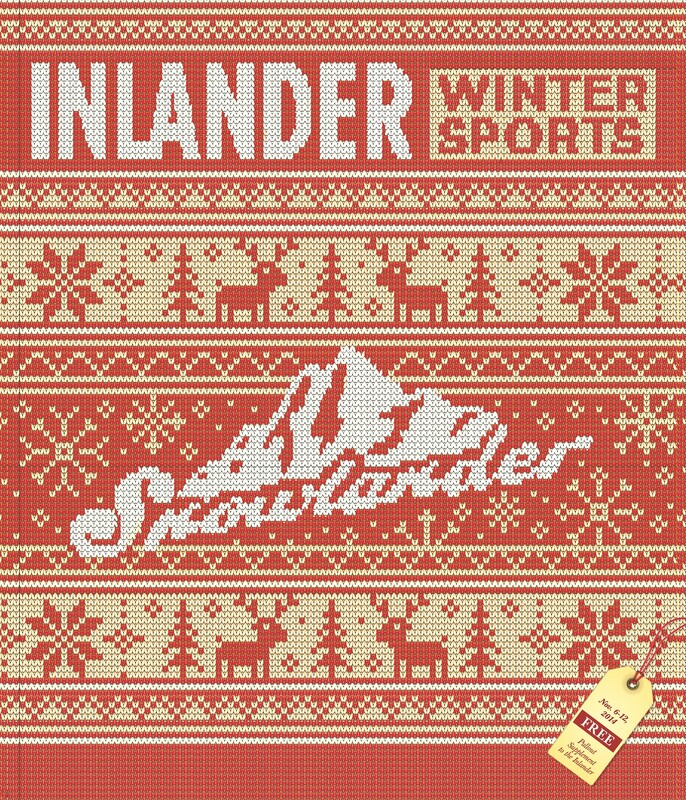 We were thinking about Snowlander merch ideas, and we said, "Wouldn't it be cool to get sweaters knitted?" But that's prohibitively expensive. So I thought we could print the design of knitting on T-shirts. In the process of working that idea out, I thought it would make an amazing cover instead — so that's when we pitched it to you. After that I had to study knitted patterns all over Pinterest, and create a vector-knit-patterned cover by changing each individual stitch to create the patterns I wanted. My favorite part are the deer. They're a little dopey and cute. So you basically "knit" this cover digitally? Pretty much. I actually think knitting is faster. I've dabbled — but I've only ever succeeded in making some wonky dishcloths. I can crochet, though. So if we made these sweaters, would you wear one?